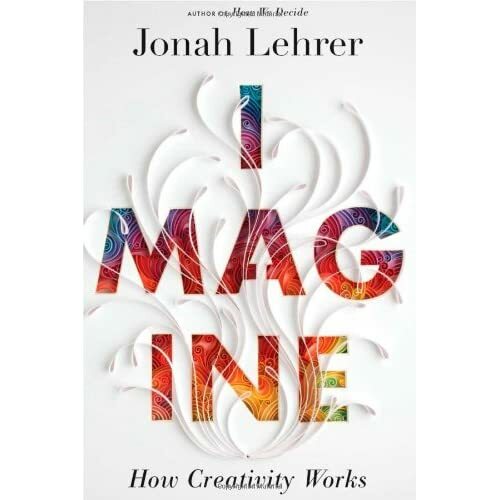 I recently read the book “Imagine: How Creativity Works” by Jonah Lehrer. While Lehrer has gotten himself into a bit of hot water over re-purposing past work in new places (including portions of “Imagine”), this news didn’t impact my enjoyment of the book. I found it fascinating to read stories of how creative insights were born and to understand some of the neuroscience behind what sparked them. What follows is ways I plan to apply the book to spark more creativity in my own life. 1) Sleep with a Notepad and Pen on the Nightstand. I’m amazed at the crazy stories my brain dreams up overnight. I once had a murder mystery dream that involved the Queen of England and the tennis player, Peanut Louie. One of these days, I’ll analyze what that dream really meant. I often dream about work. Once, I dreamed about working through a web application (related to work), but doing it in an entirely new (and odd) way. I don’t recall precisely the details of that new way, but imagine if I was on to something a la Richards and his hit song. As such, I now keep a notepad and pen on my nightstand. This allows me to record the details of my dreams (if needed) when I wake up, whether that’s in the morning or in the middle of the night. I’m often stirred awake by an interesting dream (in the middle of the night), ponder its “weirdness” for a few minutes, then forget all the details by morning. It’s time to increase bedtime ROI – product feature ideas, marketing campaigns and more. All conceived in my dreams. 2) More Productive Use of Showers and Outdoor Runs. Chapter 2 of “Imagine” is titled “Alpha Waves (Condition Blue).” A portion of the chapter covers why creative insights happen often during warm showers. Why is that? Because warm showers are relaxing and “when our minds are at ease … we’re more likely to direct the spotlight of attention inward.” And when the spotlight is directed inward, we’re able to make the connections that lead to insights. I also find my mind at ease when I go for long, outdoor runs. While on the running trail next to the reservoir, I feel disconnected from the hustle and bustle of daily life and that allows my mind to wander and roam. It’s far different than running on a hotel’s treadmill, as the activity of other exercisers and the sound from the overhead TV don’t allow me to disconnect as well. While I’ll often wander into random insights during showers and runs, I’ll now look to utilize them during specific times of need. For instance, if I need to develop a feature or campaign and I feel a bit stuck, I may “disconnect” and brainstorm a bit. I’ll head out for a run, followed by (of course) a warm shower. 3) Talk to Everyone in The Organization. As a product guy, I plan to spend more time striking up random conversations with colleagues – especially those outside of my own functional area. After all, when you’re building products, your customers are more often the folks in Finance, Human Resources and Customer Service, rather than your peers in Product Management or Marketing. Colleagues in other departments have different expertise and they’re likely to think differently. This means that they’re bound to have valuable insights you can tap into and apply (either directly or indirectly) into creating better products. In fact, I believe that product organizations ought to crowdsource product ideas across the entire organization. A psychologist from the University of Memphis discovered that students with attention deficit hyperactivity disorder (ADHD) got significantly higher scores (than non-ADHD students) on difficult creative tests. ADHD (and the inability to focus) can be a “creative blessing” – “when we need to work, we force ourselves to concentrate – this approach can inhibit the imagination.” Lehrer goes on to note that if you relax and indulge yourself in distractions, insights arrive once you stop looking for them. So in times where my running and showers don’t produce, I’ll do some daydreaming. I’ll also embark in other random diversions, such as watching a movie, listening to music or reading a book. Perhaps they’ll spark some creative genius (a la the Nike example) – or, by taking a break, I’ll find what I was looking for. By now, you’re probably suspicious about my desire for creativity. You think it’s just a ploy to sleep earlier, go for more runs, daydream more often and watch more movies. Well, we’ll see. I may in fact be doing a lot of that, but it’s all in the interest of science. If I can prove “how creativity works” and produce some of it at the same time, then the showers and sleep will have been worth it. This entry was posted on Friday, June 29th, 2012 at 5:05 AM and is filed under General. You can follow any responses to this entry through the RSS 2.0 feed. You can leave a response, or trackback from your own site.